Watch this wham-bam promo video for the TPM MFA N.E.W. Festival, May 4-7 2017, at CounterPULSE in San Francisco. 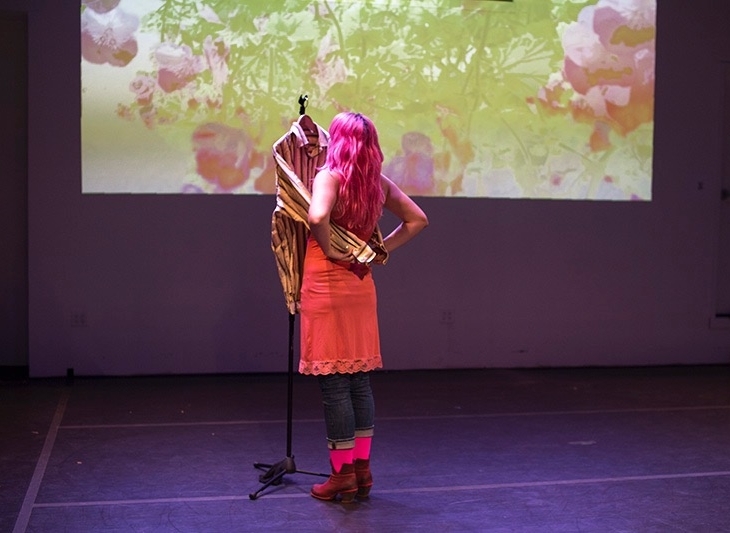 In July 2013 and 2014, the University of Chichester Theatre Department produced two-week summer intensives in connection with California Institute of Integral Studies, each culminating in public performances at Z Space. 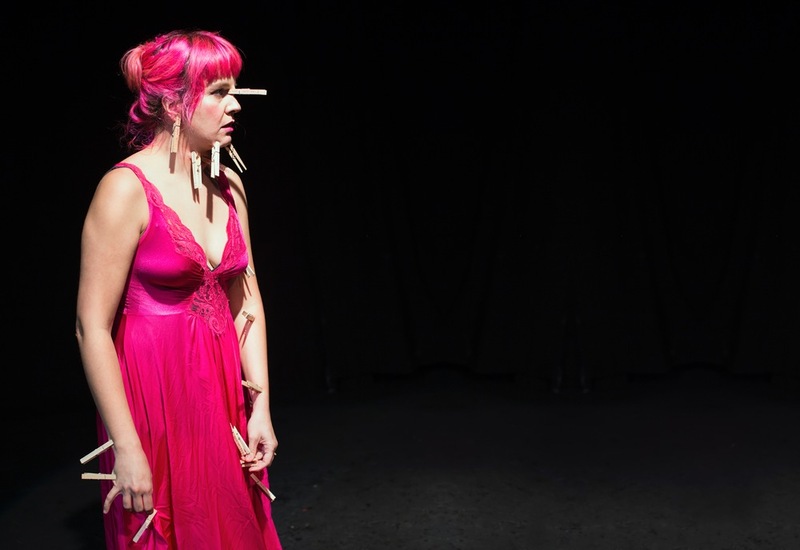 In 2015, the first cohort of the Theatre-Performance Making MFA, a joint venture between the two universities, presented two editions of Unfinished Business, their first and second public performances at Z Space and PianoFight respectively. In May 2016 they presented more work at CounterPULSE in a two-day festival called Never Finished Business, and were there again in May 2017 for their capstone project, the student-produced N.E.W. Festival, a four-day festival featuring their own new experimental work alongside professional guest artists they'd invited from the Bay Area and the UK, among them Teddy Hulsker, Jamal Harewood and Sh!t Theatre. 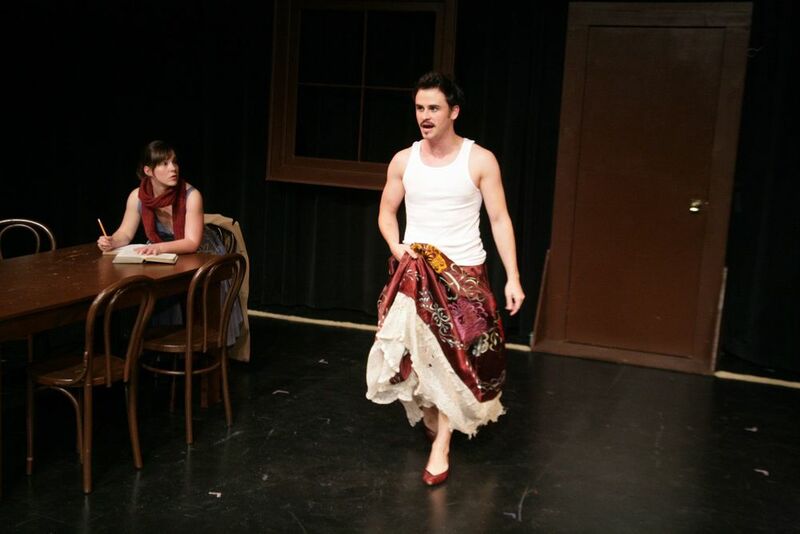 The MFA degree in Theatre-Performance Making was an experiment in international performance making and education. Artists in the program generated a lot of work both quickly and over extended periods of time. 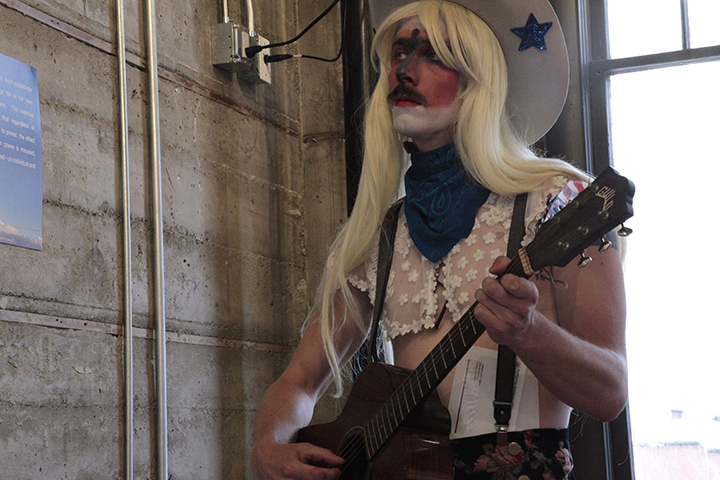 In variously and intentionally unfinished states, this work was regularly shared with the general public at professional Bay Area performance venues in an attempt to break down the boundaries between the ivory tower of education and the citadels of professional performance, between theory and practice, between expectation and surprise. Mantra: Make more work more often. Make it unexpected. Make it matter. Scenery Collin Mischke. Costumes Ashley Rogers. Lights Desireé Carrillo. Sound Teddy Hulsker. Photos Benjamin Privitt. Teaser documentary about the making of the production. Teaser documentary about the themes of the production. It’s a daring thing to do what makes us feel most vulnerable. I thought making a piece about that with young actors might be interesting. Wallflower was about shyness, fear, and the desire to put ourselves out there. It felt right that the piece express itself physically more than verbally, since feelings often belie the limits of language. Somehow the classic American high school dance seemed a good venue. We’ve all been there – or not, knowing we weren’t while everyone else was. And somehow the forest into which Shakespeare’s Midsummer lovers run also seemed right – a dark, magical, sometimes freeing, sometimes scary, inevitably transformative place where dream and reality blur. People go to both these places to escape, get lost, get found, take a risk, and hopefully to succeed. People go to these places to go for it – whatever or whomever “it” is that compels them to dare step up to the edge of that grassy cliff at the borderline of their comfort zone. Over that edge and below lies possibility – maybe doom, maybe flight. Creating Wallflower felt the same. It ended up flying pretty well, I thought. 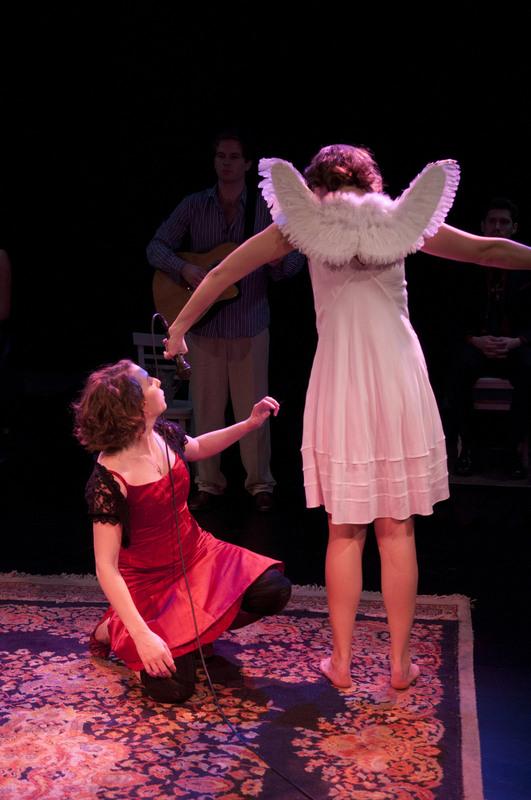 Created and performed by the MFA class of 2013. A.C.T. Conservatory Director Melissa Smith asked me if I’d be interested in devising something from a classic play with the MFA. The anchor of our work was Corneille’s Le Cid. The initial question I proposed we deal with was whether or not the outrageous passions depicted in the play were anything one could connect with today. What might compel our own senses of passion, honor, and duty to the extraordinary extent that these characters feel compelled? Is such commitment even possible in our contemporary culture? If not, have we lost anything as a society, or gained? Most specifically, and most horrible to contemplate: could we take, or advocate the taking of, the life of a loved one who had done something so horrible to another loved one? These questions guided our work. The title we gave the piece says a lot about our response to Corneille’s play. His title is French for el cid, itself Spanish for al saiyid, the Arabic title that the “Moors” in the play would have given their conqueror, Don Rodrigo. We wanted to peel back the cultural layers of honor, duty, and passion. The extended subtitle explicitly states the range of what struck us about the play: its themes, clash of cultures, aesthetic contradictions—as well as our impulse to question it. Our hope was that Al Saiyid would compel us and our audiences to look our own senses of passion, duty, and honor in the eye—today, before we all become classics ourselves. Life is short. Why wait to burn brighter? 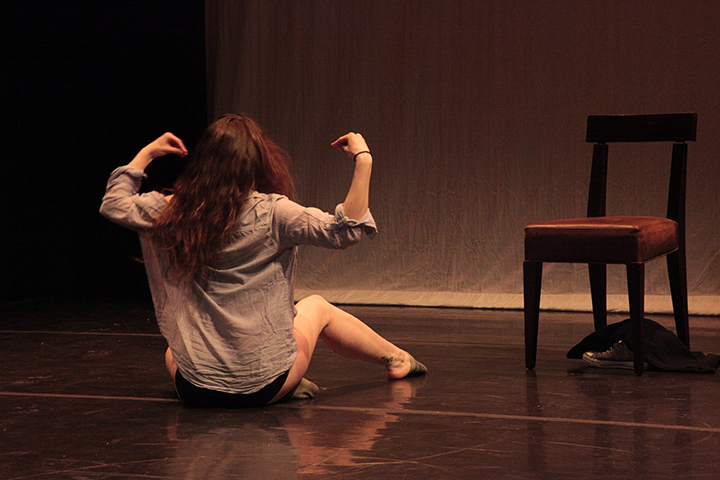 Created and performed by Arisa Bega, Allison Combs, Charlotte Gulezian, Meredith Eden Mitchell, Frannie Morrison, Megan Trout, Mai Kou Vang and Dara Yazdani. Scenery Hannah Murray. Costumes Miriam Lewis. Lights Clyde Sheets. Sound Matt Stines. Photos Benjamin Privitt and Claire Rice. JULIET, a choreographic-theater take on Shakespeare’s Romeo & Juliet, used Juliet’s emotional arc, rather than her plot, as its basic structure. As with any newly devised piece, I wasn’t sure at first what exactly JULIET would be. In the end, we’d created a new work about love, but not the cliché romantic love most readily associated with Shakespeare’s play. JULIET was a sometimes punishingly physical work about compassion, honesty, trust and daring – those deeper aspects of love that are ultimately Shakespeare’s subject. This was my third production at SF State, and I must say that the work I’ve done in collaboration with the students there is easily among the most compelling I’ve been lucky to be involved with. The frustration is that university productions have short performance runs and aren’t generally regarded seriously by the wider community of professional artists, critics and audiences. I am glad to say this basic trend shifted a bit with JULIET. 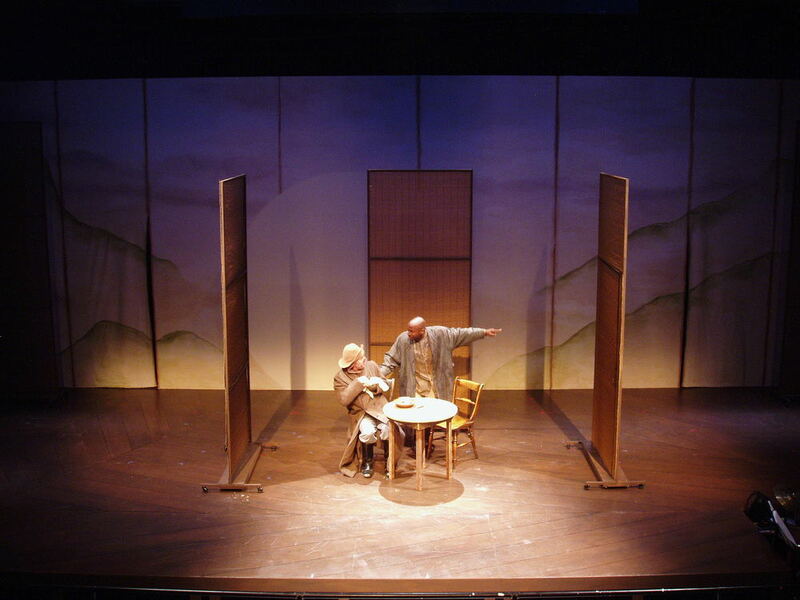 Audiences embraced the production fully, and, in addition to being written up by a handful of enthusiastic Bay Area critics, the project even found itself featured in the New York Times. Scenery Elena Childs. Costumes Courtney Flores. Lights Jacqueline Steager. Sound Matt Stines. Photos Benjamin Privitt. 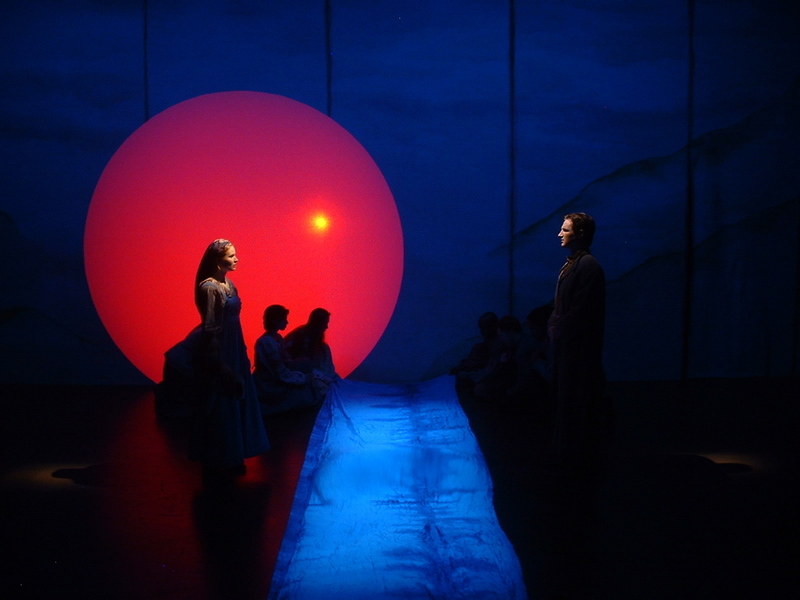 "Jackson's 2008 productions of Don Juan and Sophie Treadwell's Machinal remain among the highlights of my theatergoing career." If we were to have a conversation about a time when a society was anxious about escalating economic pressures, dizzying accelerations in technology and mounting moral conundrums, and when sensationalist tabloids and legitimate journalism seemed to meld in their reportage of it all, would we be talking about America in 1928 or 2008? Eighty years after its premiere, Sophie Treadwell’s snappy, scary, funny, at times disturbing Jazz Age play still smacked of the present moment. Directing it felt like working on a brand new, contemporary play. 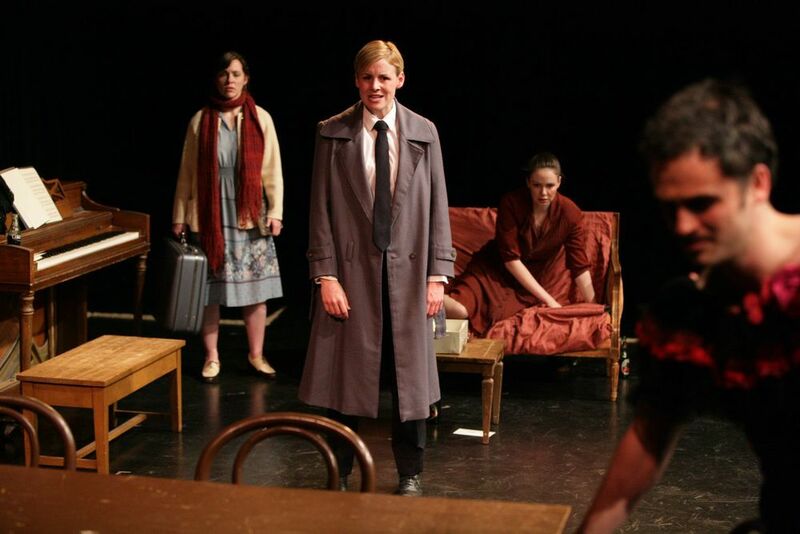 One of the Twentieth Century's great feminist plays, MACHINAL is ultimately not about any one woman or man. It's about an entire society’s growing anxiety in an abrasive time of change. 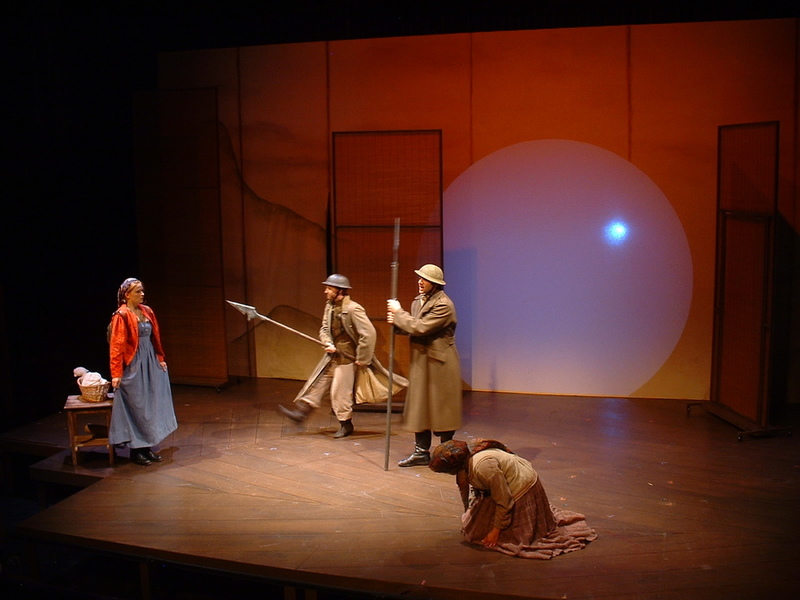 The cast, designers and crew of this university production succeeded in conveying that feeling with uncommon power and finesse. Their work was as good as anything going in the professional realm, and I count the experience among the most significant for me as a director. Scenery Nina Ball. Costumes Heather Goodman. Lighting Andrea Schwartz. Sound Jake Rodriguez. Photos Benjamin Privitt and Claire Rice. 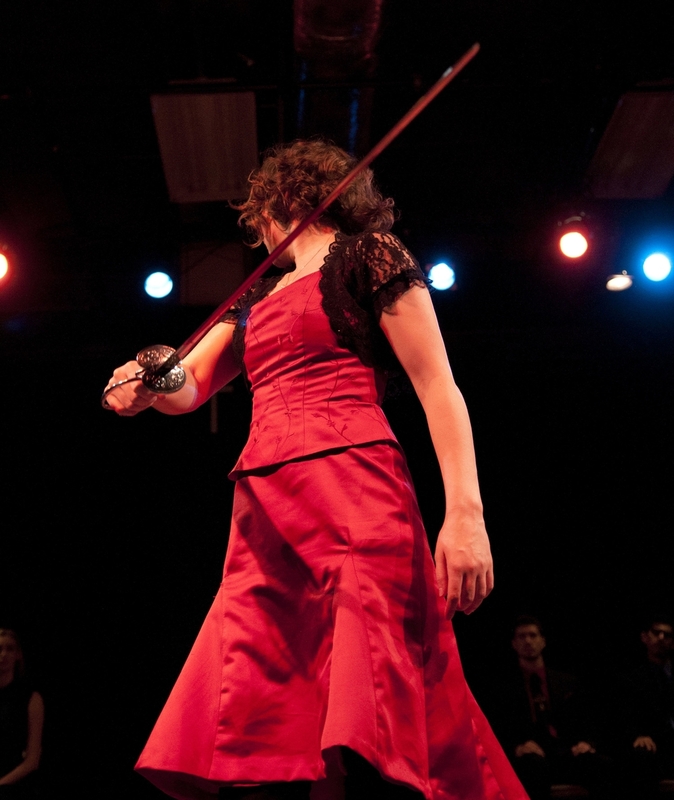 This adaptation of Don Juan was originally developed in an eight-week workshop co-produced by Art Street Theatre and EXIT Theatre in 2003. We worked with costumes, props, scenery, and lighting to develop the material prior to my formally writing the script, which draws on both the Moliere and Pushkin renditions of the legend. 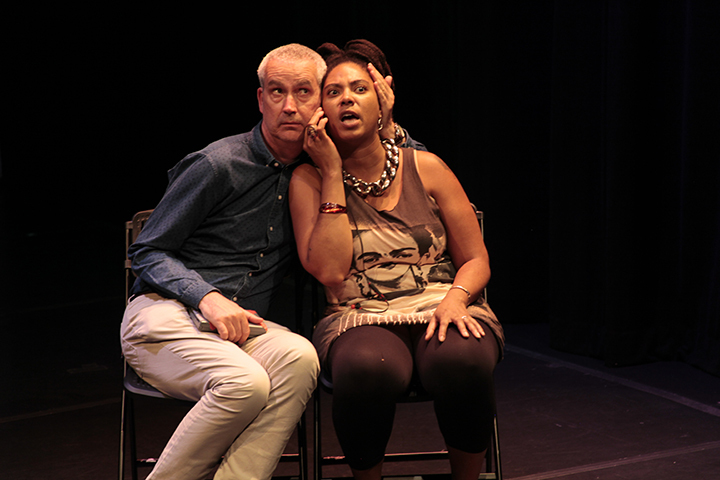 The result is a dark, comedic, and decidedly theatrical perspective of Don Juan fitted to our age – an age in which seduction and hypocrisy collaborate to get under our skins, sell us their ideologies, and take from us what they like. The student actors and designers who worked on the SFSU production embraced this difficult material enthusiastically, delivering one of the more visceral, haunting and theatrically exciting productions I’ve been lucky to take part in. The assignment was "realism." My suggestion was French Canadian playwright Michelle Marc Bouchard's cloudy gem, The Orphan Muses, about a group of estranged siblings who gather to meet their long-wayward mother, due to turn up after many absent years. Partway through rehearsal I realized something was wrong. It felt like the characters should not be moving. Something decidedly unrealistic was wanting to happen. I looked into the original production of the play and found it had been performed in two feet of sand. Suddenly Bouchard's opening stage direction—"the set evokes the living room"—made complete sense to me. This was Bouchard's clue that things were to be evocative, not illustrative. American playwrights tend to explain when they want their work done theatrically, and I hadn't picked up on Bouchard's French Canadian assumption that anyone doing his play would understand this by course. This was a lightbulb moment for me in terms of reading plays from outside the States. After the production was over I asked Melissa Smith, the A.C.T. Conservatory Director, if we'd met the realism assignment. "No," she said. "But it was interesting!" Scenery Melpomene Katakolos. Costumes Callie Floor. Lights Chris Studley. Music David Babich. Photos Christopher Studley and Melpomene Katakolos. "The seemingly simple, fecund theatricality of Bertolt Brecht's great parable comes richly to life in Mark Jackson's inventively staged 2 1/4-hour production for the American Conservatory Theater's Master of Fine Arts Program… It's a good match of playwright and director. Jackson, the founder of Art Street Theatre, knows his 20th century radical theater well, as he proved by writing and directing the brilliant The Death of Meyerhold with Shotgun Players in '03… Jackson blends most of the performances well and does a beautiful job developing the two stories that converge in Brecht's plot. 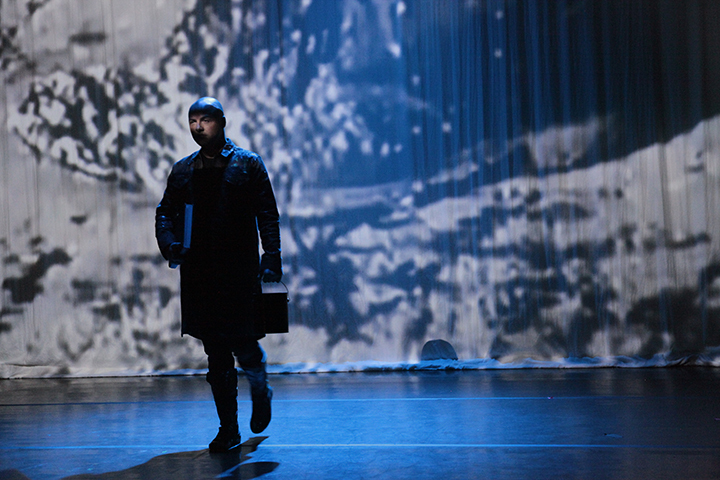 And he's staged the action fluidly and humorously, with evocative visual and aural beauty and simplicity. A desperate venture across a broken suspension bridge is stunningly staged."